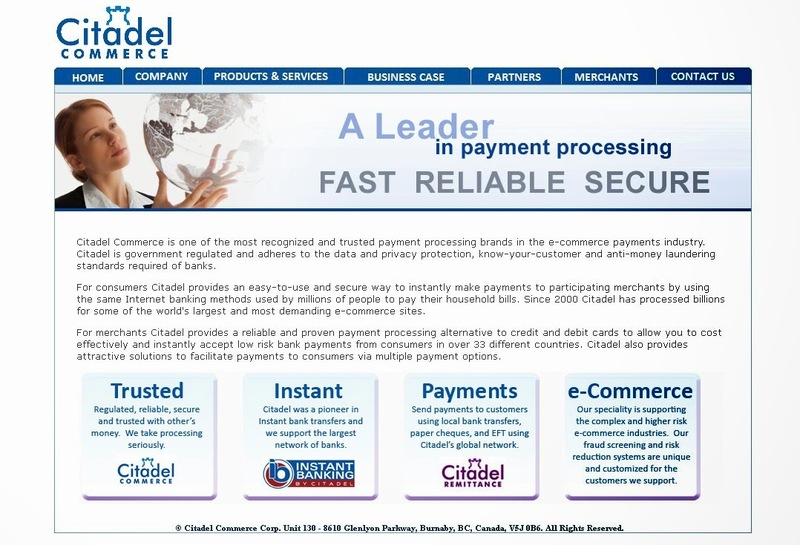 About Citadel Citadel allows for their clients to easily access their own secure banking site to fund their account via credits. Those credits, which operate the same way a bank transfer would, can then be used to purchase mobile casino credits. Citadel is Popular and Secure Solution to Topping up your Account, with the introduction of Citadel, consumers can now transfer funds directly from their bank account immediately, and in a stress-free environment. After choosing this method of payment and proceeding to make the payment, simply select the bank, and the banks details. Upon entering this, a Payment Reference Number will appear on screen. From here you will enter your own personal log in info to sign in to your account, and therefore enable you to make the transfer. Once you have entered the Payment Reference Number and necessary bank details from the particular websites account that you wish to credit, the Citadel system is promptly notified - allowing funds to be transferred instantly. Security This payment solution eliminates the middle-man, meaning you are not in any way directed to a third party, therefore creating better integration and offering more security and stability.